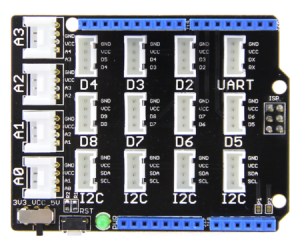 As an expansion board, Base Shield V2 has many Grove connectors, making it convenient for you to use Grove products together. 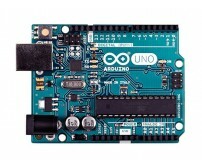 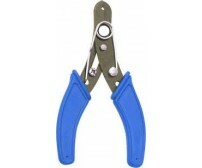 And It is compatible with a series of Arduino products. 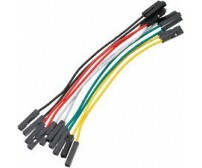 Power Compatible: Every Grove connector has four wires, one of which is Vcc. 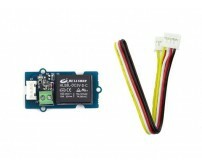 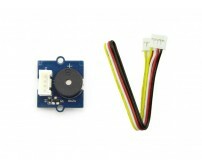 However, not every micro-controller main board needs a supply voltage of 5V, some need 3.3V. 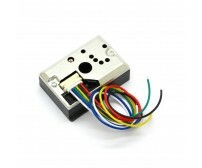 That's why we add a power switch to Base Shield v2. 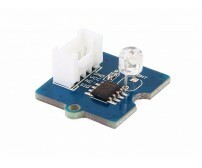 In this way, you can adjust the voltage of Vcc via this switch, making sure the voltage of Vcc is the same as supply power of the main board. 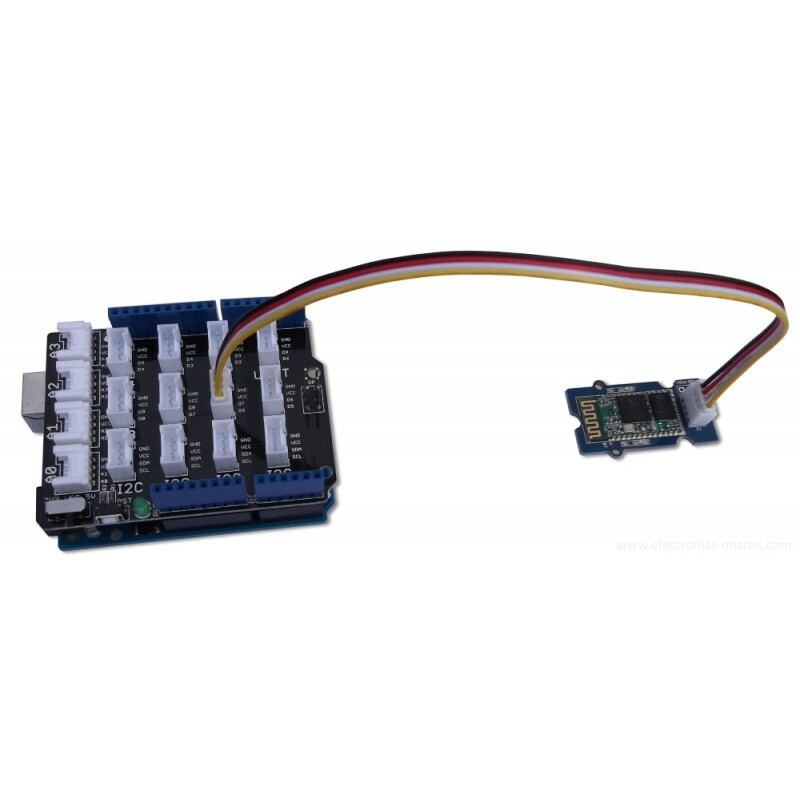 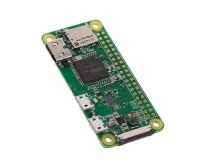 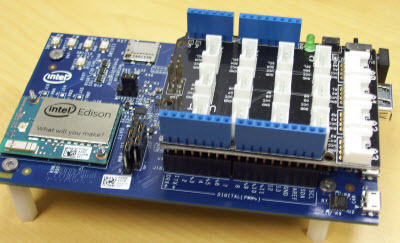 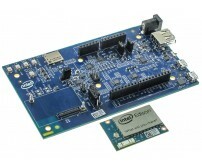 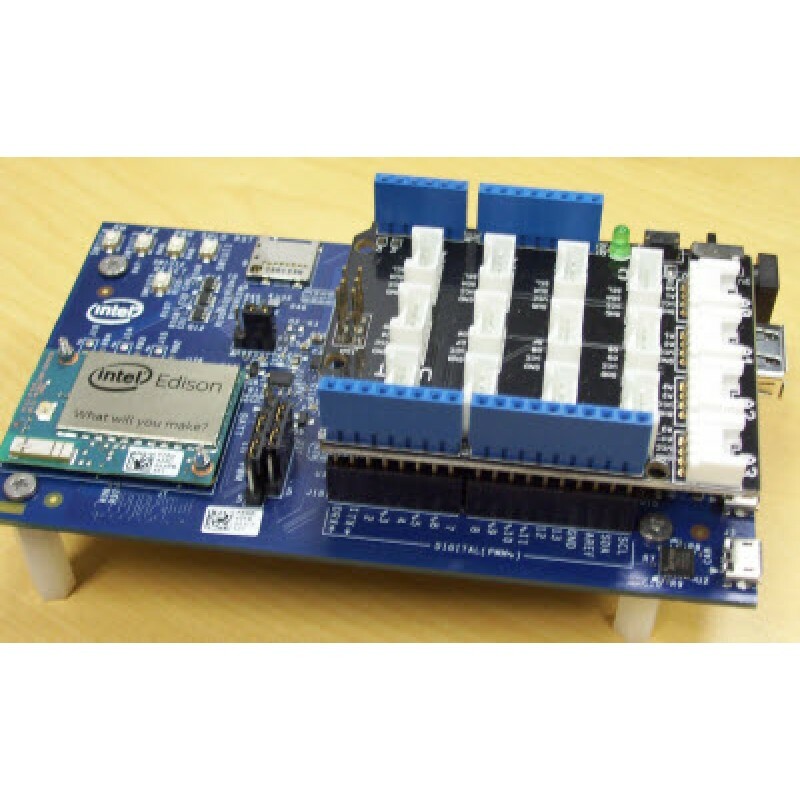 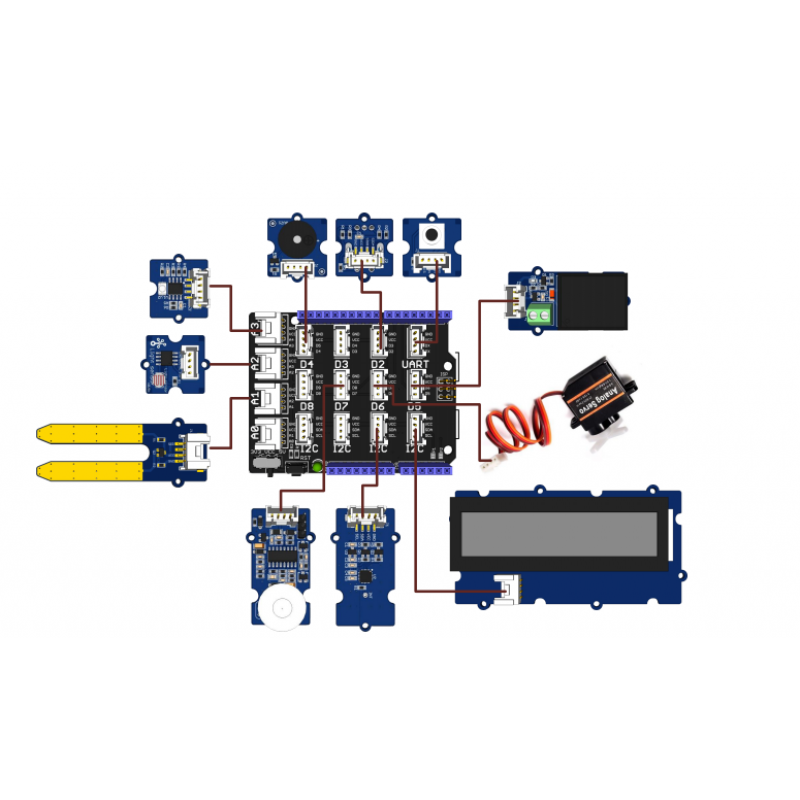 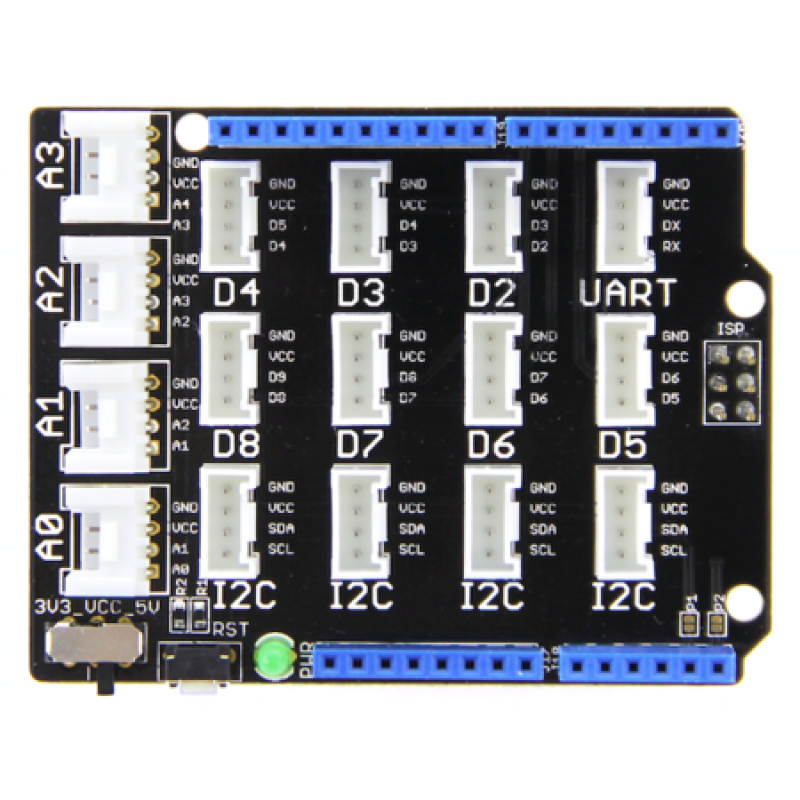 Board Compatible: This Base shield is compatible with Arduino UNO R3 Board layout. 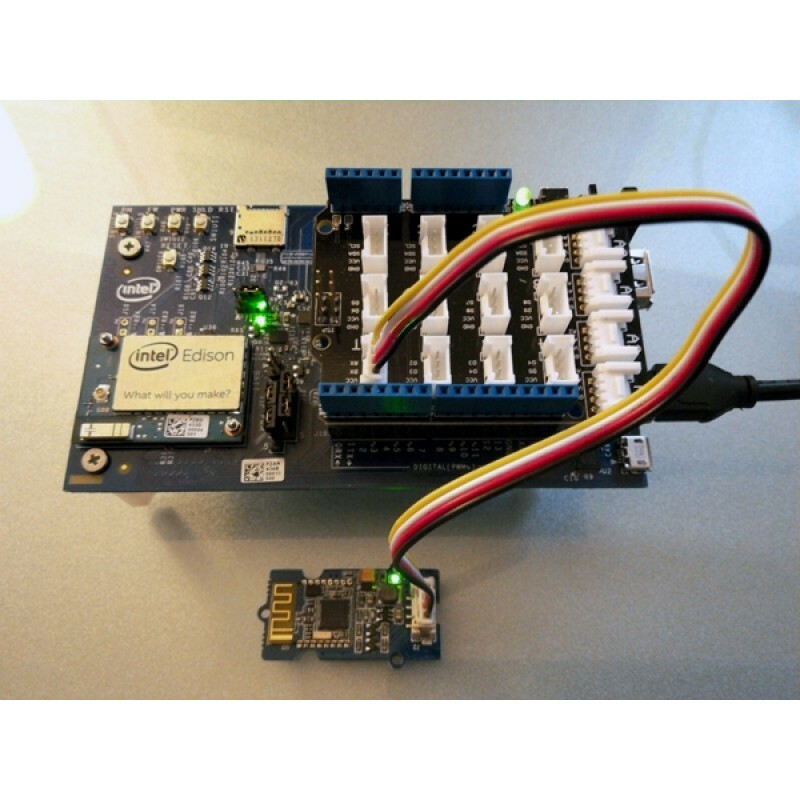 Hence, Intel Edison and any other boards with the same Arduino Uno R3 pin layout can use this Grove Base Shield to connect to Grove Sensors. 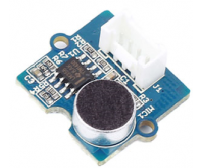 Sharp's GP2Y1010AU0F is an optical air quality sensor, designed to sense dust particles. 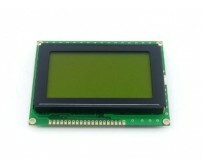 An infr..
128x64 Graphical LCD Display (Yellow)FEATURES:Type: Graphic Display format: 128 x 64 dots Bu..